I’ve always maintained that, if I could only eat from one food group for the rest of forever, I’d choose Fruit. I love fruit. Could live on fruit (well, mostly). And in the last couple of years, I’ve become quite smitten with veggies as well. Unfortunately, the Smooches share my love of fruit, but definitely not of veggies (especially anything green and leafy). So we’ve jumped on board with the make your own juice craze. And, I have to tell you, I sure do love our juicer (given to us for FREE, I might add, from a family friend who saw my juicing questions on Facebook and had one that he wasn’t using). I would pretty much drink the same juice combo every single time- kale, spinach, cucumber, carrots and half an orange. My kids, however, are a bit more discerning. The good news about their ‘more refined palettes’ is that we get to try all different combinations of fruits and vegetables (mostly ones I’d never try). 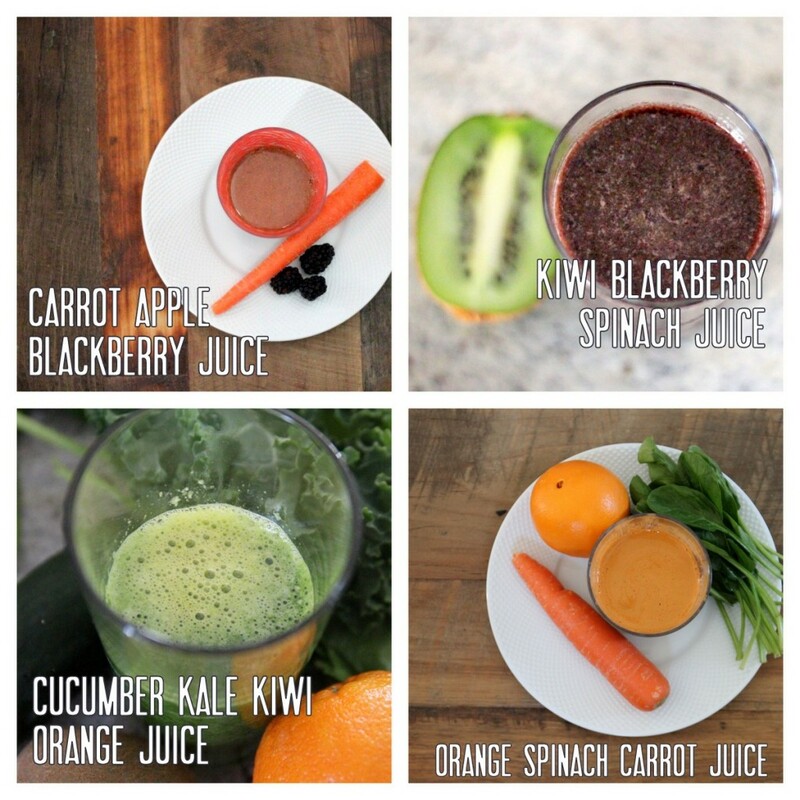 …Carrot Apple Blackberry, Kiwi Blackberry Spinach, Cucumber Kale Kiwi Orange, Orange Spinach Carrot are a few more of our favorites. 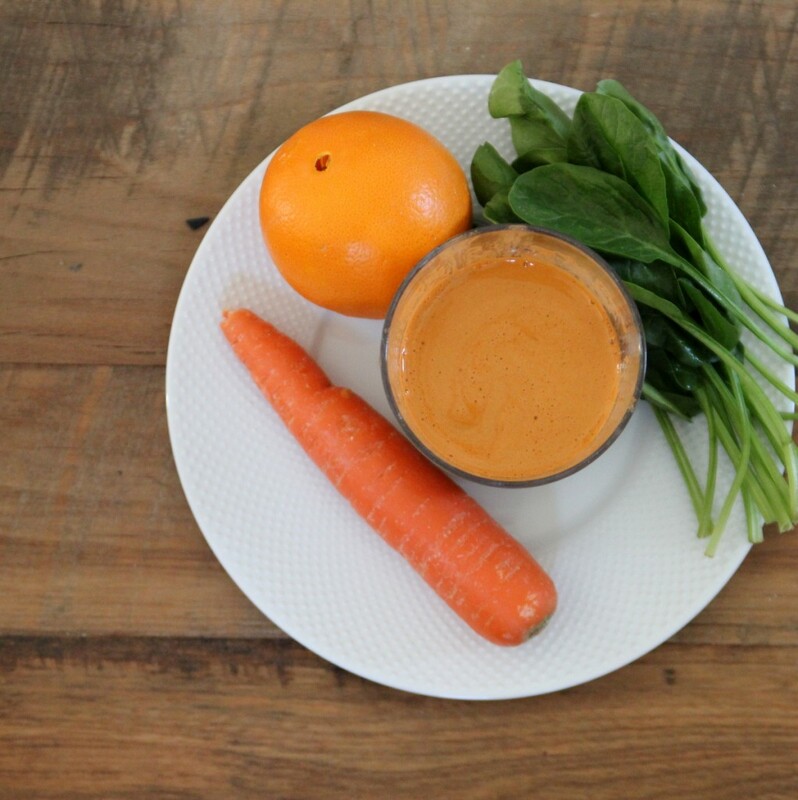 A few things I love about making our own juice in the juicer- we add at least one vegetable to every batch of juice we make and I love all of the veggie nutrients that my kids are getting. They were a bit nervous about anything green at the beginning, but have really broadened their choices in the last few weeks (love that). I also love the way it ensures that I am getting some spinach-y, kale-y nutrients every day. I am a big salad eater, but am not crazy about the taste of spinach nor kale (don’t get me wrong, I still eat both, but they just aren’t my favorite). Two other perks- I think the juice makes me feel full for a long time. 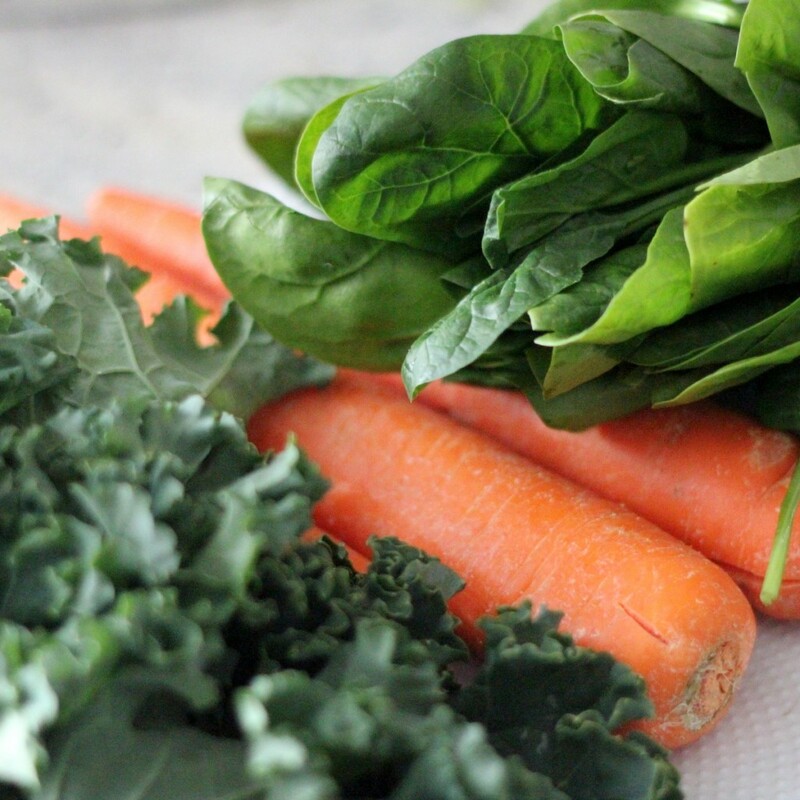 I know that there aren’t many calories in there (even when I add half a bunch of spinach, a handful of kale, a few giant carrots and half an orange), but it is satisfying stuff. Not like a cupcake binge satisfying, but also without the cupcake binge sugar rush headache. I also am loving the effects of the juice on my skin- it’s the dead of winter and my face isn’t nearly as parched as it usually is in January. The only drawbacks I’ve found are that the juicer is a little time consuming (and messy) to clean (maybe 5-8 minutes each time?) and that I know that actually eating all of those veggies would be better for us than running them through the juicer. However, since the clean up is worth it to me and since we weren’t eating all of those veggies (especially Burke and Piper Jane), the drawbacks don’t really have much of a case. Like I said, I’m kind of in love with our juicer. What about you? Do any of you have a juicer (or want to get one)? 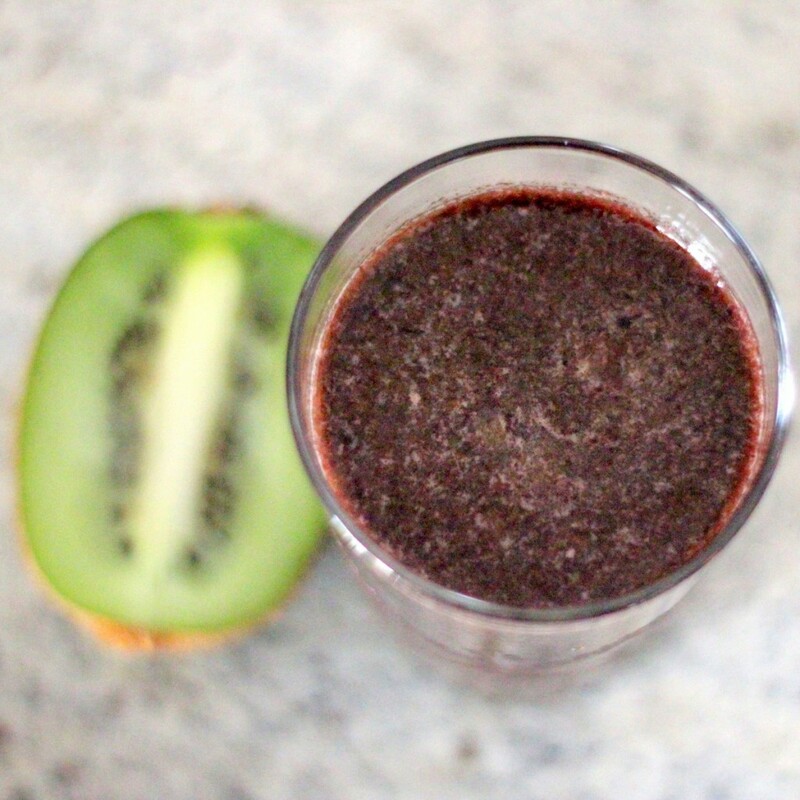 What are your favorite (and least favorite) things about making juice? Any fruit/veggie combos we should be sure to try? Ooooh, we add flax too! And I have a question for you about celery- do you feel like it overwhelms all the other tastes? I would love to use it more often, but everytime I put it in there, all I can taste is celery. Tips? Ideas? We got a juicer for Christmas and I make it every morning for us. Love it. Particularly because we weren’t eating our veggies like you guys. Can’t wait to try some of your recipes. 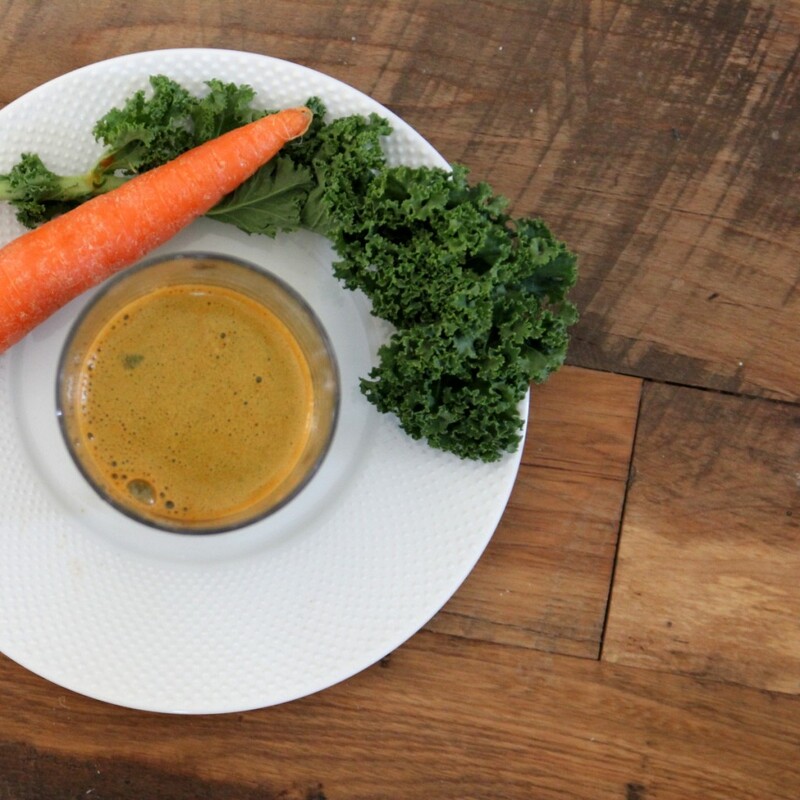 We do most of our juicing in the winter and most of the time it’s just plain carrot juice. I love it. My husband likes carrot, apple & beet juice. It’s very healthy especially with the beet but I’m not a fan! One thing I think the juice does is give me stronger nails, certainly a plus! Great blog post with some amazing pictures (must have taken you ages). I absolutely love juicing. 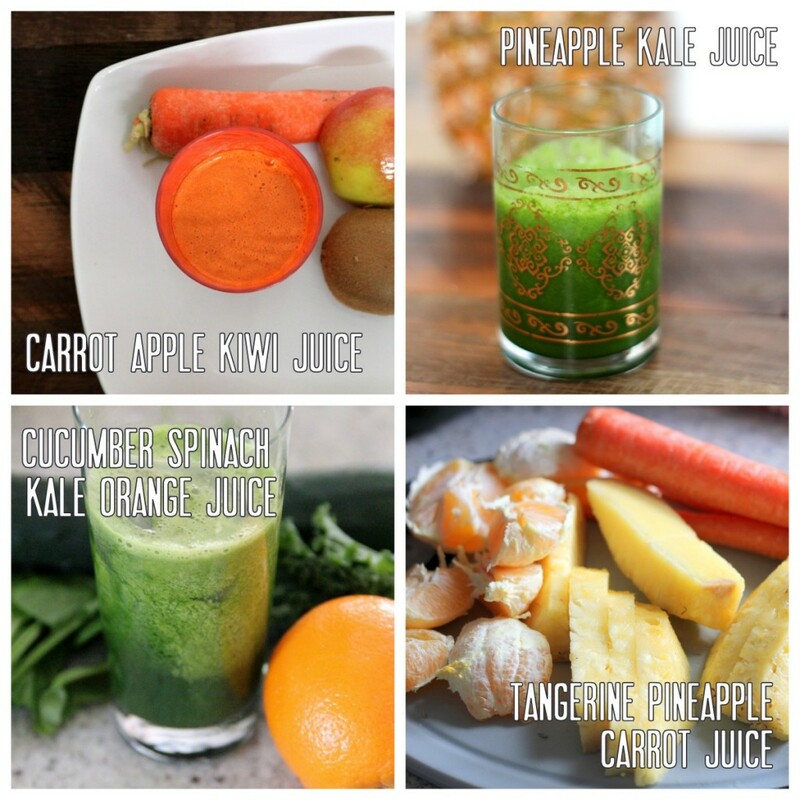 There are so many different combinations you can juice (just be careful when juicing with onions!). 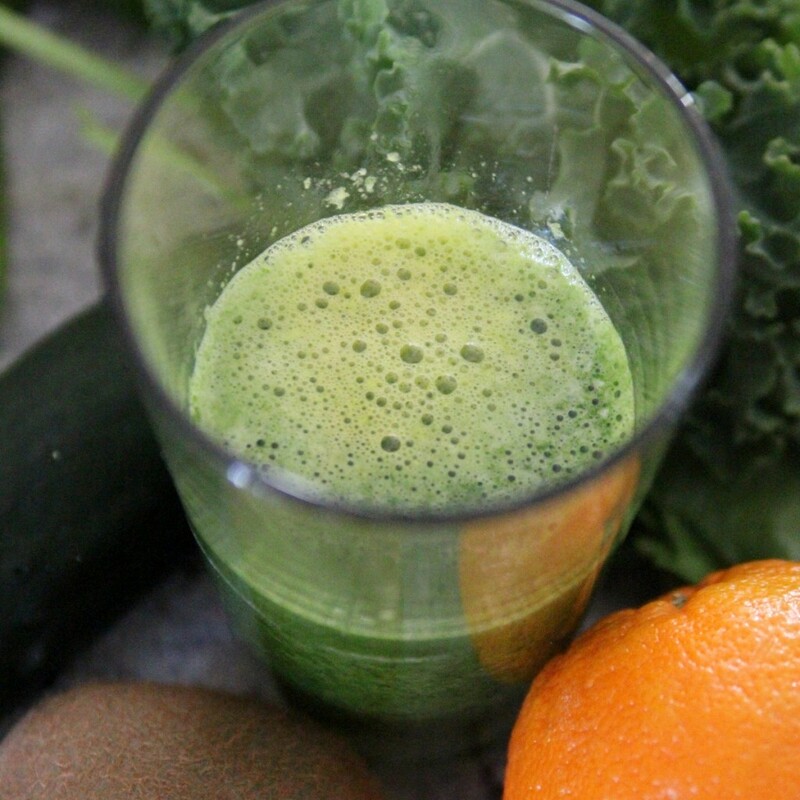 I started juicing two years ago after watching Joe Cross juice his way across America in “Fat, Sick & Nearly Dead”. 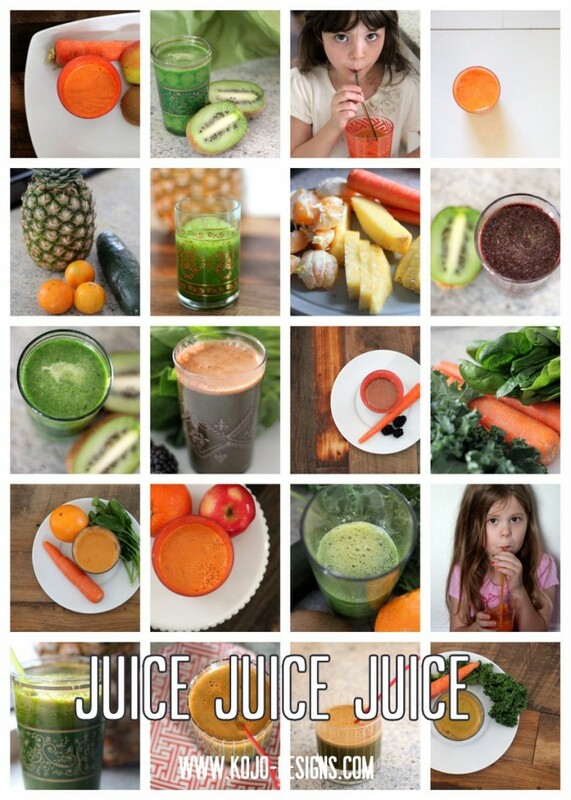 I have to say that juicing has turned my life and my health around in a big way. I would recommend juicing to anyone and everyone. And I’ve heard about”Fat, Sick and Nearly Dead,” we should watch that. Really love adding ginger to Carrot & Apple juice. Sometimes a piece of lemon in the juicer cuts the bitterness of some veggies. Especially Beets! Love Beets with Carrots, Apple, Celery and definitely a piece of Lemon. Lisa, thanks for the ideas and the lemon tip. Love this! Instead of juices, I do smoothies along the same lines. 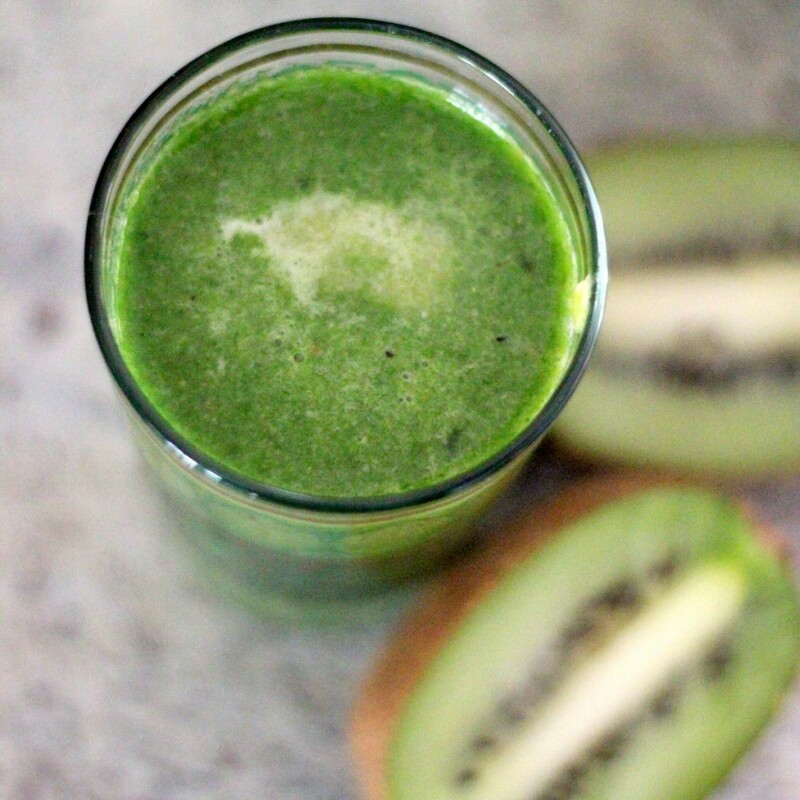 Using a Vitamix blender ( <– Most amazing invention ever), you can get the very same drinkable consistency a juicer provides…except with a smoothie it really is like you're eating all those healthy raw veggies because the fiber is included, not discarded. Vitamix costs a pretty penny but was SO worth it because I can drink broccoli, zucchini, cauliflower, or really any leftover veggies I've thrown in the freezer. My daily smoothie typically consists of 2 c. water, 1 c. frozen greens, 1/2 c. frozen veg, 1/2 c. frozen berries, and 1 scoop vanilla protein powder. The result is green but tastes sweet and delicious. That was my other thought for you. To make the juice "last" longer, as in making you feel full and satisfied, you might try adding 1 scoop whey protein powder. Buying top quality here pays off as well because it will dissolve easier and taste better. I use Optimum Nutrition Gold Standard 100% Whey Protein Isolates in Vanilla. I use it so much that I bought the big size — 5 lbs — and then felt embarrassed that I looked like a body building gym rat every time I pulled it out! So I changed it up and now store a potion of my protein powder in a stainless steel pop-top kitchen canister…so no house guests are the wiser! 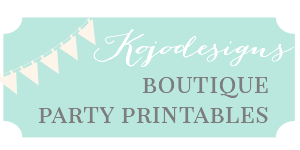 I have read your blog for two years, and I am always so appreciative and admiring of your craftiness, party-throwing skills, and devotion to your family. Sorry for the long comment, but your post touched on something I have also enjoyed, and I just couldn't resist sharing what I hope might be helpful info! Best, Jennifer. So glad you like the blog- again, thanks for all of the info!